A major focus area for HR teams in 2019, will be to enhance talent acquisition management as a process. To that end, 61% HR professionals plan to focus on better talent acquisition policies in 2019. 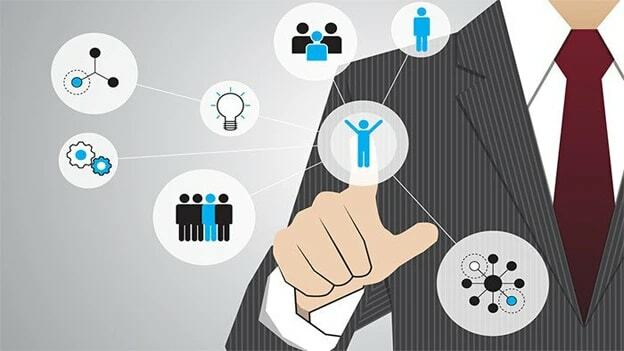 Shine.com has revealed its latest report mapping key HR trends that will dominate the Indian jobs landscape in 2019. Conducted across multiple corporate sectors and government departments, with a major share of respondents with over 15 years of experience in the HR domain, the survey urged HR professionals to share their major focus areas for 2019. It also sheds light on the biggest trends that will impact jobs and business operations in the current year. A major focus area for HR teams in 2019, will be to enhance talent acquisition management as a process. To that end, 61% HR professionals plan to focus on better talent acquisition policies in 2019. To further enhance the talent acquisition process, over 53% of HR professionals are planning to redesign employee/HR interface using technology. Focusing on current and anticipated industry disruption, the survey also highlighted the extent to which technology is expected to impact business processes. Around 47.16% of HR professionals plan to adopt technology-driven HR tools such as AI tools, Virtual Reality and hiring tools within their organisations in the coming 12 months. Additionally, 36.75% of HR professionals surveyed foresee some kind of disruption in their industry in next 2-3 years. This technological convergence is also expected to significantly transform existing profiles and responsibilities and give rise to new job roles, apart from replacing low-value jobs. Other trends that are slated to dominate the HR landscape include the adoption of flexible HR policies and working hours, growth of digitisation, and an uptick in freelance workers. Trends such as flexibility and a digital experience will further help organizations to bring down attrition rates and increase employee retention. In a bid to increase employee retention by offering growth opportunities, over 46% are also looking to improve L&D programs for employees. As nearly half the HR professionals predict a skills shortage in 2019, organizations will look to bridge the gap internally through robust training programs. Moreover, in order to flourish in the ever-evolving business landscape of today, targeted L&D programs that cover futuristic skills are becoming more indispensable than ever before. Further, performance evaluation tools, time management, career management, healthcare benefits, etc., are some of the practices that HR professionals want to invest into in the coming years. The survey was conducted across various industries, including IT, E-commerce, FMCG, Pharmaceuticals, Telecom, Media & Entertainment, Education & Training, and Automotive among others. The insights uncovered through the survey cast a light on the directions the present trends will take in the future, which organisations can leverage to offer better engagement, resources and facilities to their HR workforce.